Enterprise IT is increasingly about cloud, big data, mobility, application transformation and related technology shifts. Yet legacy systems and multi-vendor infrastructures have often made the journey slow, complex and expensive. Until now. 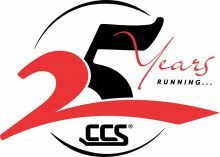 CCS Infrastructure Consulting Services takes an adaptive approach that simplifies the modernization process. We help prepare your people, processes and organisation for change. Resulting agility, flexibility and lower costs will enable you to better pursue your business goals. Our expert consultants become your technology and strategy partners. We help guide and implement your transition every step of the way, from concept through deployment, training and ongoing support. And our global partner network ensures you’ll have the support you need, when you need it.